Just to share a laugh or sing a song…. All Carol Burnett aside, it was good having a semester to focus on social media. What one thing would you recommend as a keeper for this class in the future? What one thing would you recommend as a ditch it? What did Catherine Cuellar say after she left? 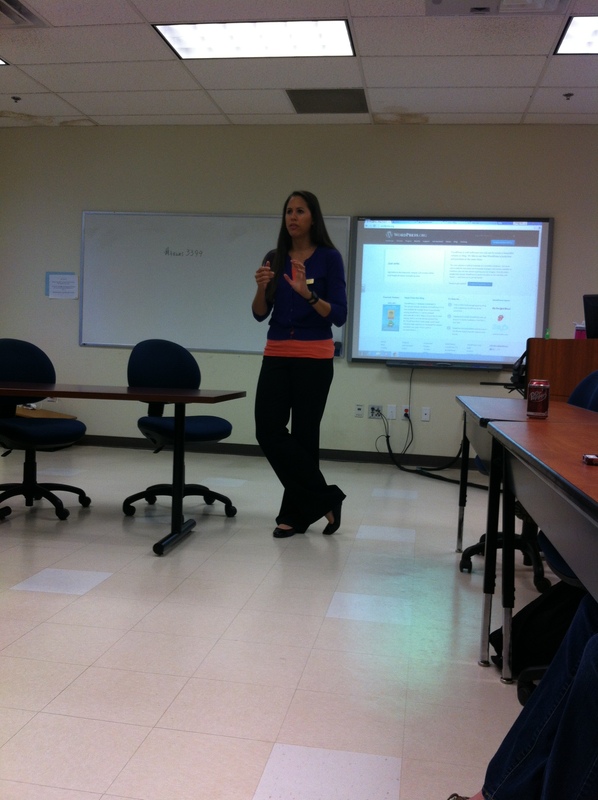 When Catherine Cuellar visited our class, she gave you lots of ways to find her on social media. What did she say about the class after she left? What did you say to her after she left? Take this opportunity to make contact with Catherine and our other visitors from this semester, Lara Zuehlke, Addy Meira and Richie Escovedo. Find them on social media and continue your relationship. Post your tweet to them here for all of us to see. Thank you to all of our guests from this semester! 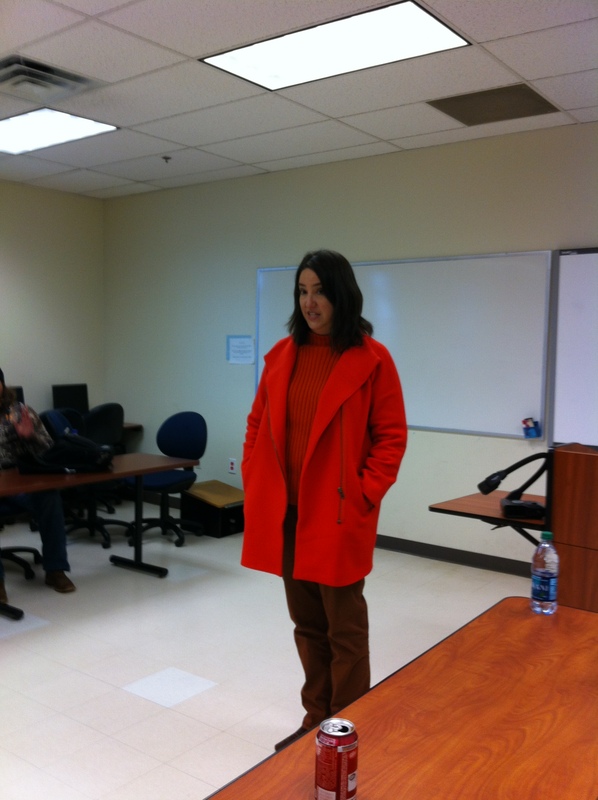 Catherine Cuellar, executive director of the Dallas Arts District, visits with Texas Wesleyan’s MCO 3399 class about her experiences in communications. 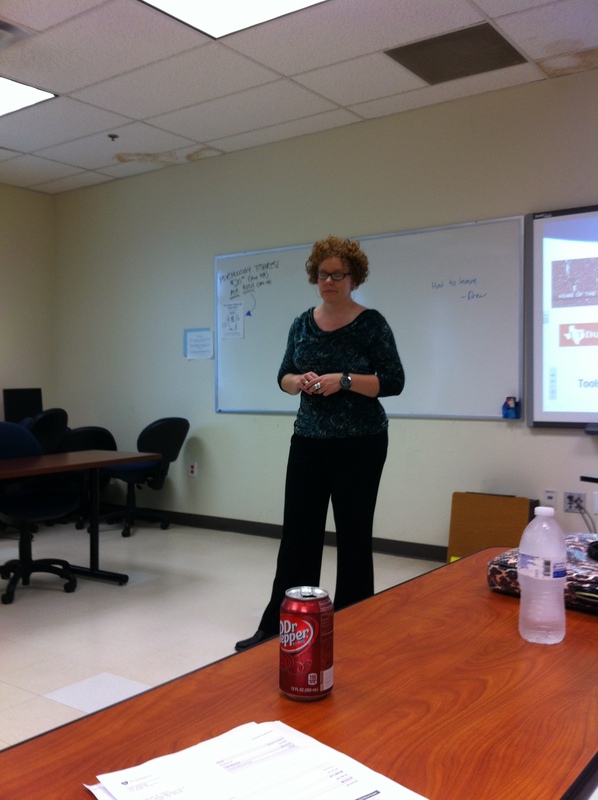 Addy Meira, from Texas Wesleyan’s CETL, showed MCO 3399 students how to create their electronic portfolios using WordPress.